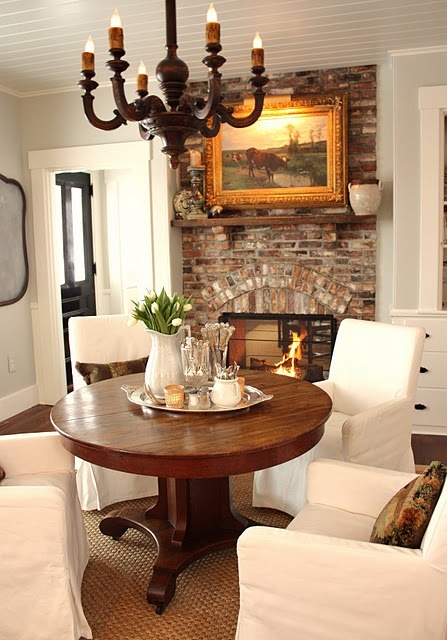 Round, square or rectangular, small or large – a center island with stools or, in a nook with a banquette… Formal or informal, the kitchen table is so very much more than a place to sit down and eat. It may well be the most used piece of furniture in the most used room of the house. 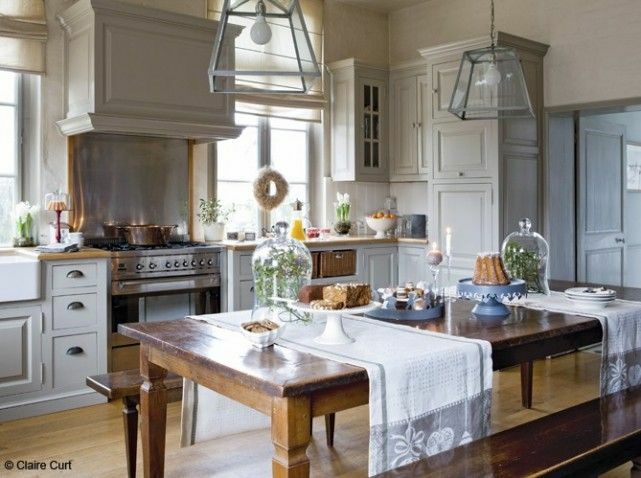 Perhaps our kitchen tables – of all the other furniture in our homes – best reflect our lifestyles. These tables see an evolution of activity not only throughout the day, but throughout the years. We do so very much at our kitchen tables. We gather around the table to eat, drink and to share stories. We watch mother (or father) prep the next meal, or bake cookies for a bake sale, or frost a Birthday cake. It is where we may prepare a holiday meal and later enjoy it. It is a place to share laughter and even tears. It’s where we’ve done homework and arts and crafts as children, and then with our own children. It fed our children and their friends. It served well at Birthday parties and other gatherings. It was a perfect place to share a hot cup of tea and some cookies with a friend in the late afternoon, or a glass of wine and some cheese and crackers in the evening. We’ve played board games and we’ve played cards… all at the kitchen table. In the morning, over breakfast, we’ve discussed the day’s plans and agendas. In the evening, we’ve congregated again to see learn how everyone’s days went. Often good news is shared at the dinner table. And sometimes bad news is as well. We watch our children grow at the kitchen table as they move from high chairs and booster seats into regular chairs. Meals get more sophisticated and longer as our children grow. And one day our children will be bringing their children to our kitchen tables. 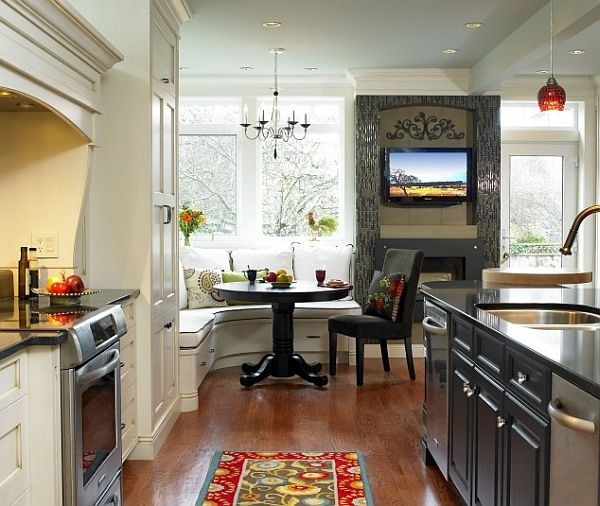 So therefore when decorate our kitchens, we ought to give as much thought to size and placement of our kitchen tables as we give the large appliances. 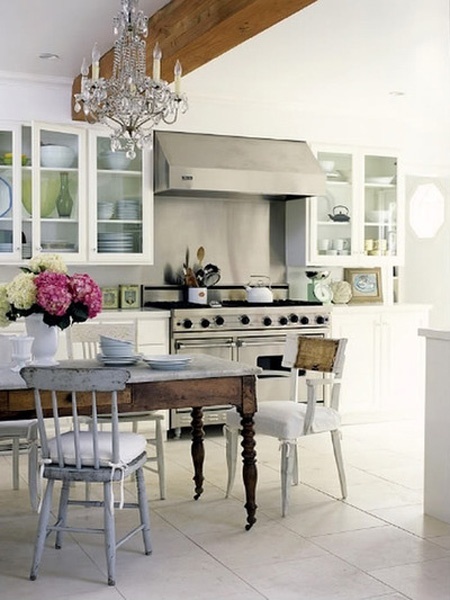 While these appliances are indeed important, they are not where memories are made. 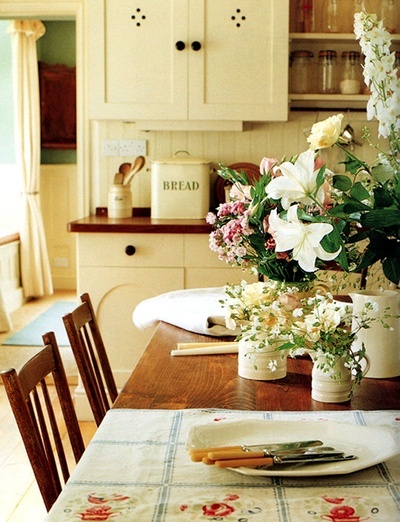 What are some of your favorite kitchen table memories?